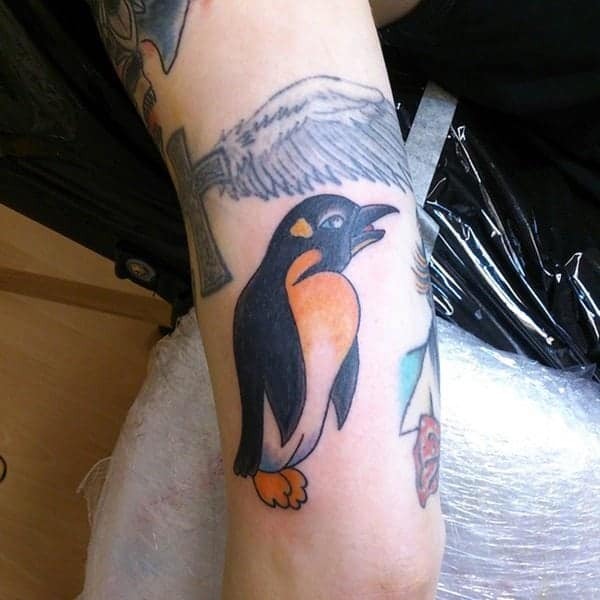 If you are looking for a new tattoo design that involves your love of penguins, then you have certainly come to the right place. Penguins have been around for a very long time and they have made a strong impression in pop culture for quite a long time. Penguins are a beloved animal for a reason and it’s not because they are cute. We have seen penguins depicted in books, movies and TV all over the world and there is a reason for that. The penguin is a popular animal and it’s not just because of how cute they are, people just love the little waddle that the penguins make. They are seemingly friendly animals and it doesn’t hurt that they mate for life. We can’t say enough good things about the penguin. 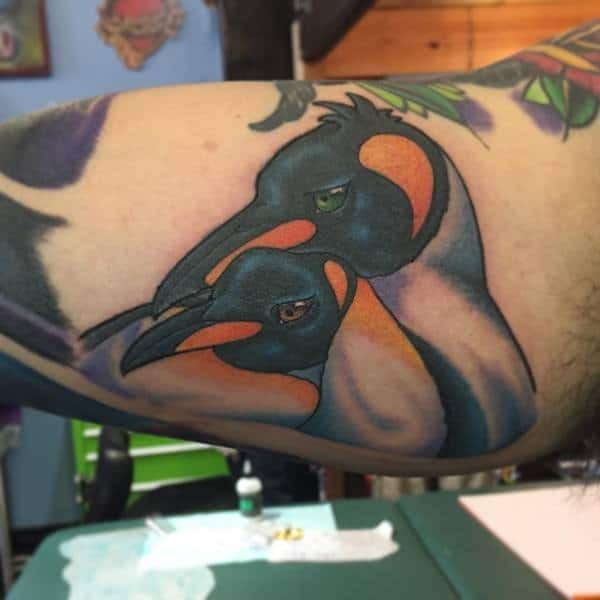 These animals have amazing contrasting colors that make for great tattoos. 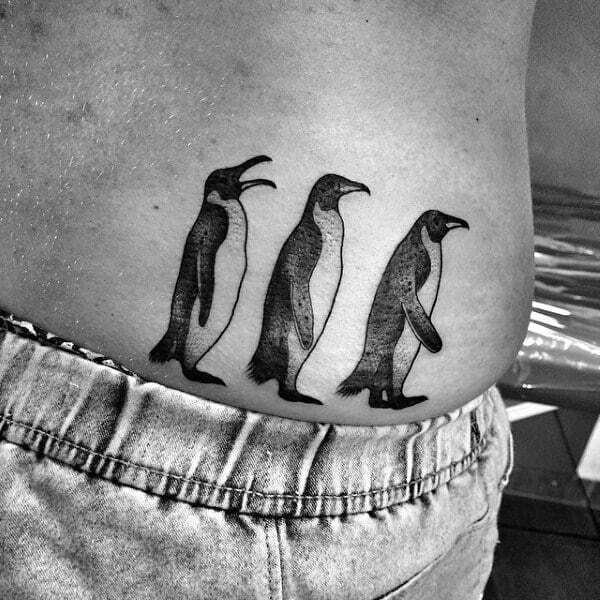 If you are thinking of a penguin tattoo, then we have a long list of options for you. These tattoos come in all shapes and sizes and if you want something special then you came to the right place. 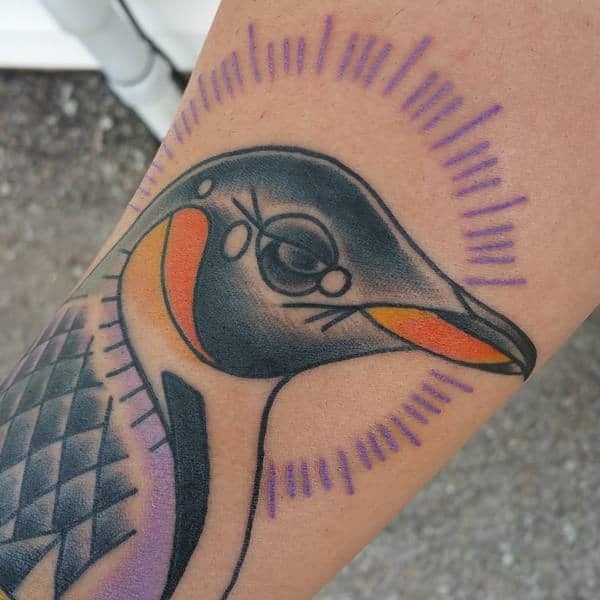 This penguin tattoo was made up of a series of lines. We just love the cute little bow on top. If you have a love of surfing then you are sure to love this sweet design. This penguin knows what he wants and that’s to grab some waves. 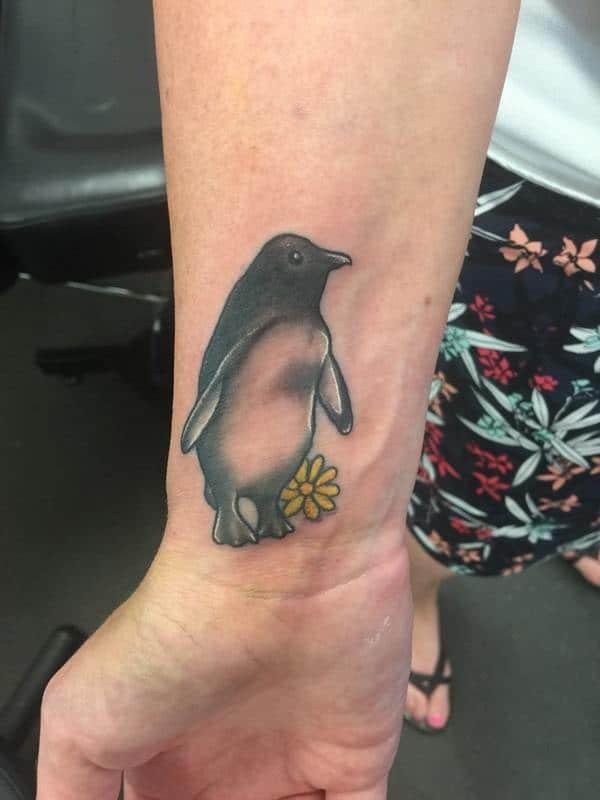 Maybe you want to share your love of penguins with someone else. These are both very different images but they are both pretty awesome. 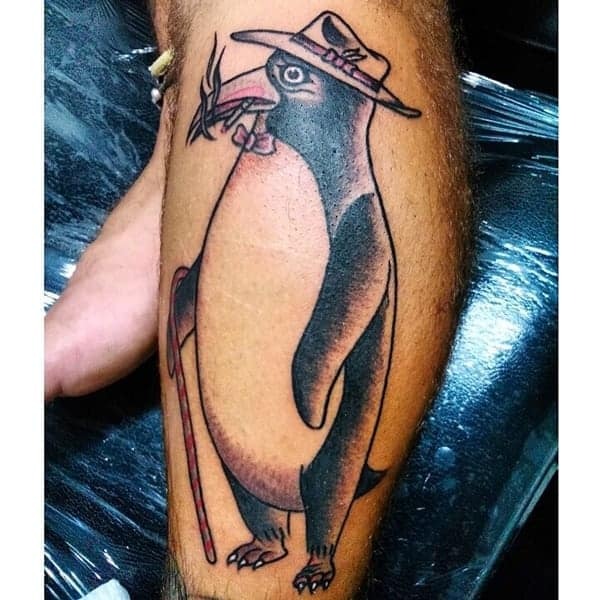 It’s not every day that you see a smoking penguin but it’s definitely a funny tattoo idea. This is a very different form of penguin designs. The blue and purple are sure to brighten your day, the colors are amazing. This penguin has a sparkle in her eyes. We love this sweet design and we are sure that you will too. 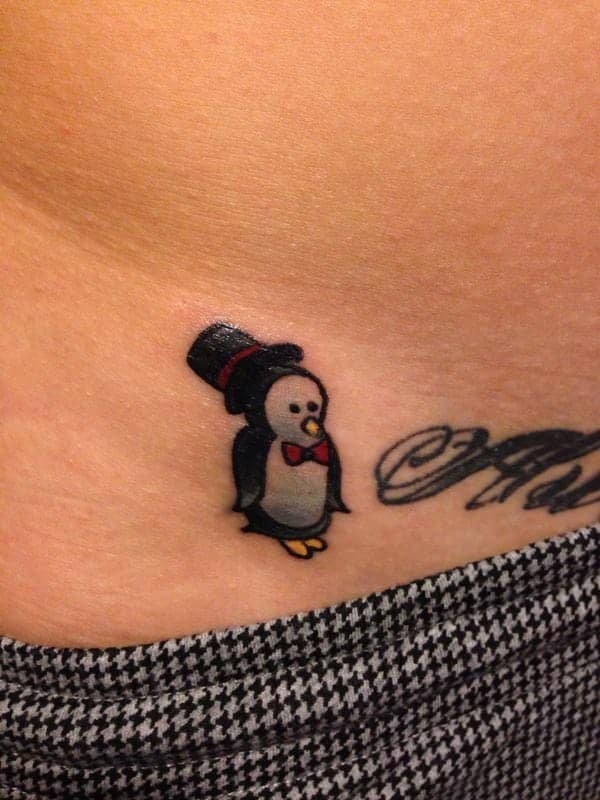 We love this cute little penguin with a top hat. All the black here is sure to make a penguin stand out. 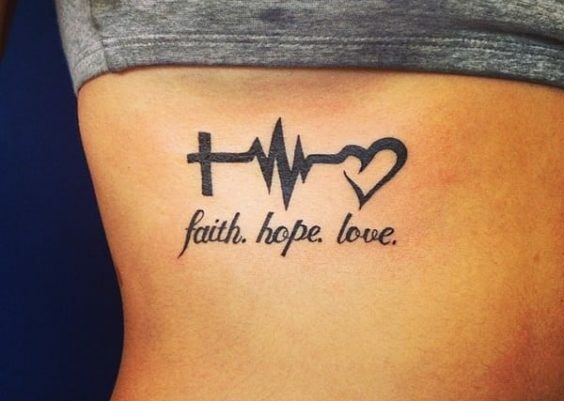 If you are looking for a small tattoo then this one is perfect. Three penguins taking a walk and the last one has something to say. A great design that has some unique penguin designs. 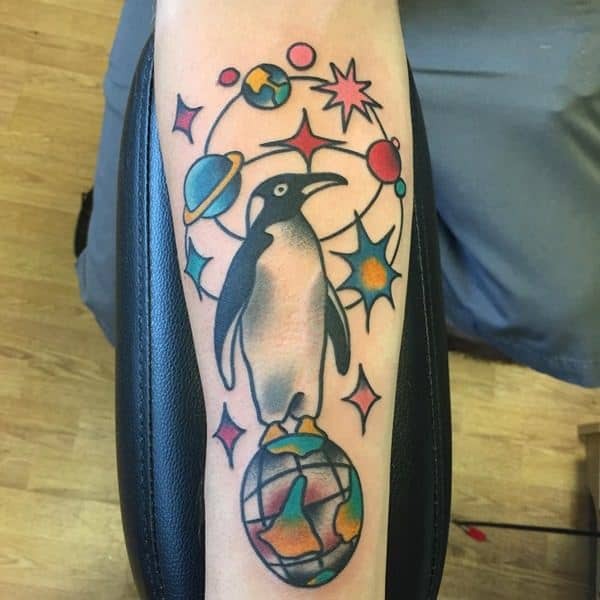 A great penguin design that has the universe all around it. There are lots of pretty colors here that you are sure to love. This little penguin is cute as a button and it’s flying away. The blue balloon is being carried away by this wonderful balloon. 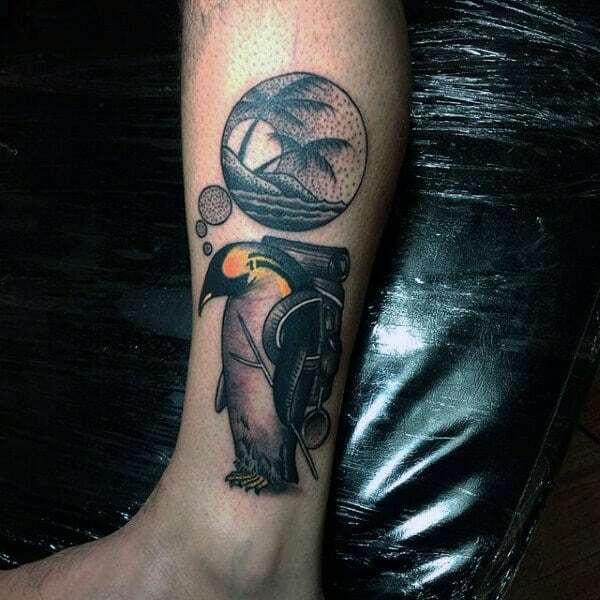 A great design if a large penguin, one that you are sure to love. We love all the nice colors involved here. 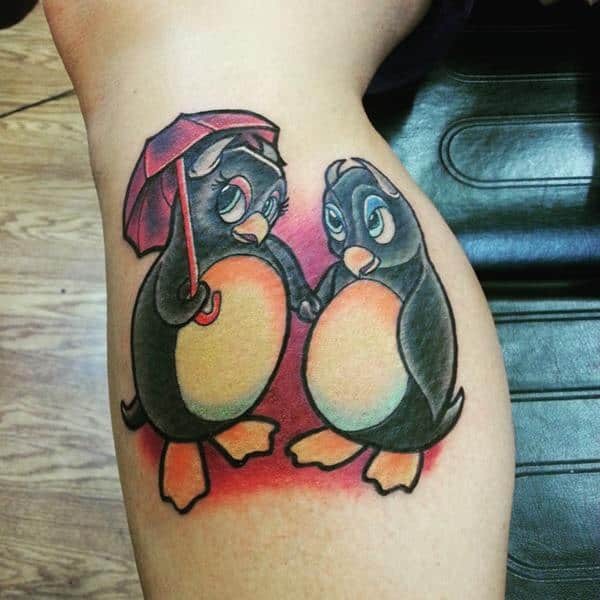 A great tattoo of two penguins loving each other. The colors here are deep and beautiful. 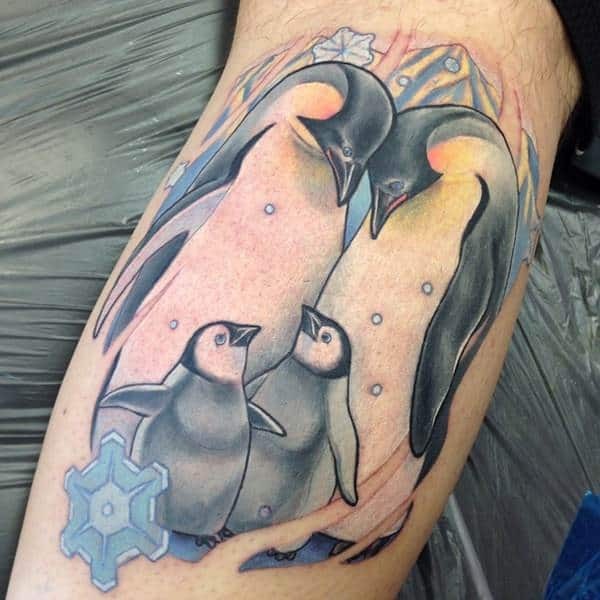 If you love tattoos then you are sure to love these penguins. These are cute penguins going for a walk. It looks like a courting situation because the female penguin has a walking umbrella. 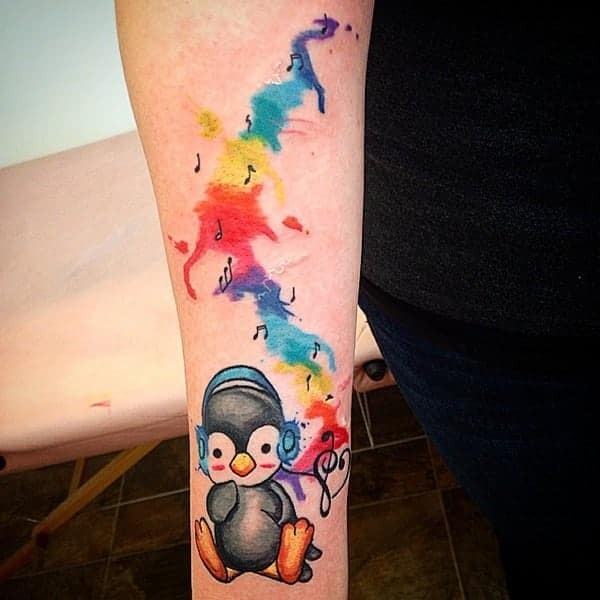 A great tattoo design that is sure to bring you a lot of joy! How can you not love the penguin that wears a toque? 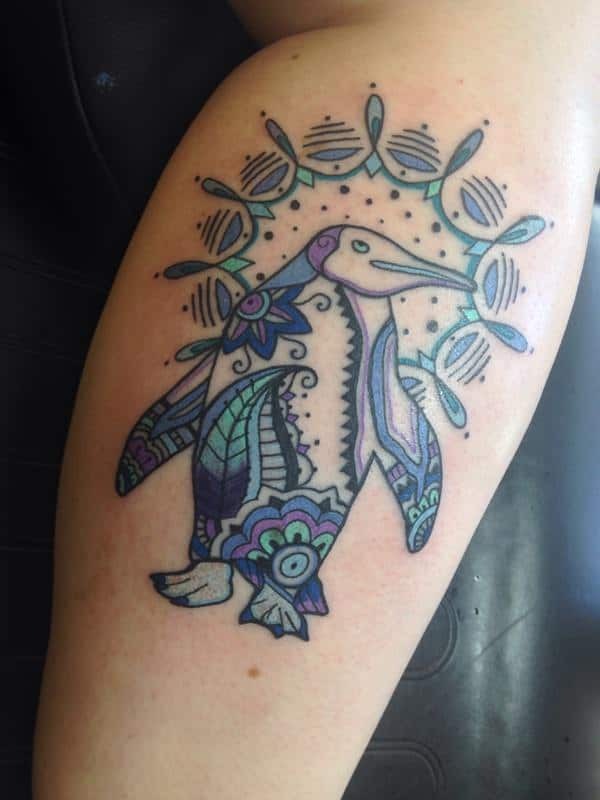 A stunning penguin design that has a lot of gorgeous color to it. 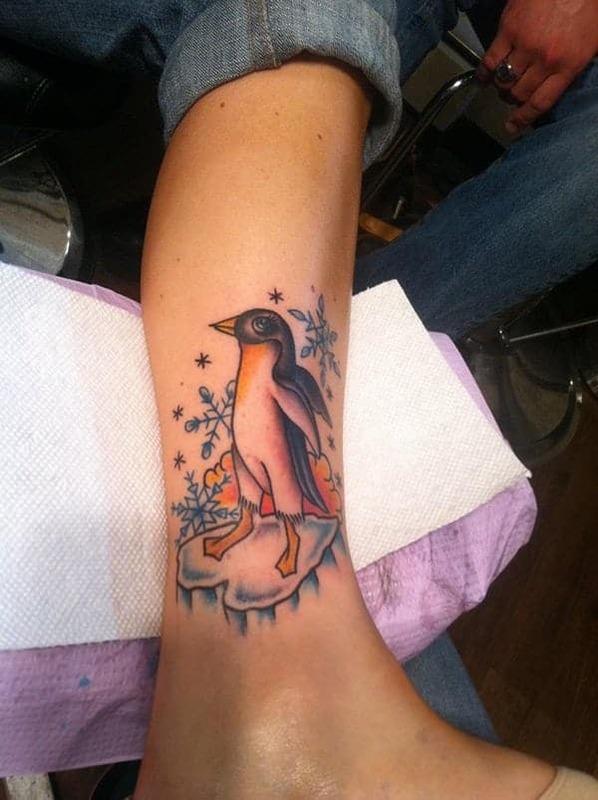 This is a beautiful penguin image because of the detail as well as the color involved in the tattoo. 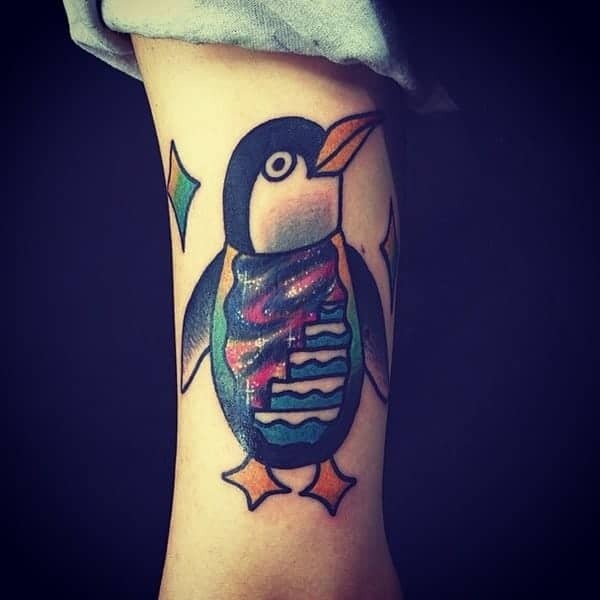 We can’t help but love this penguin tattoo because of the stunning colors. 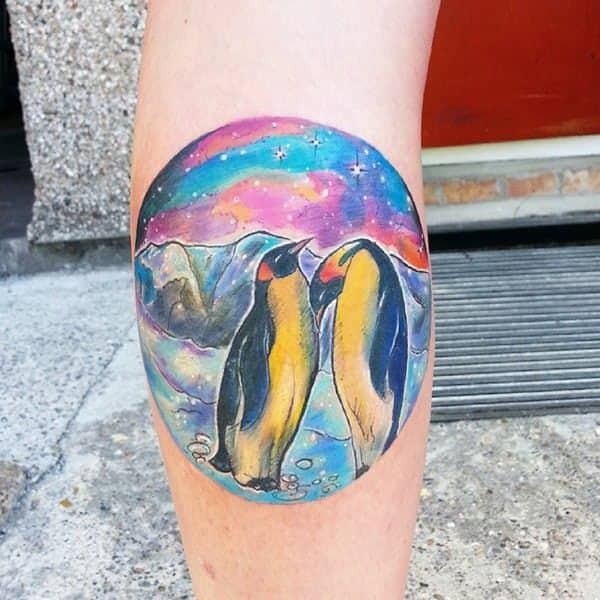 The sky is lit up with bright colors and this tattoo is sure to catch the eye. 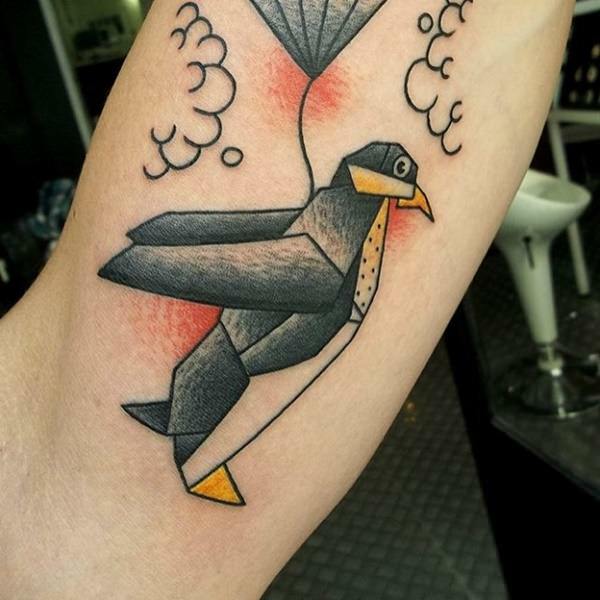 An unusual penguin design that is sure to make you happy. It’s a skinny penguin with an unusual look and one that has a stick leg, We can’t help but love this fun design and so will you. Two adult penguins with two small children. These penguins are truly wonderful and creative designs. This would also make for a great family tattoo. These classy penguins are truly wonderful and we can’t help but love their outfits. These are great images that anyone would love because they are absolutely adorable. We just love the monocle. These are special images that are truly wonderful and unique. A great penguin design that is pretty basic but has some wonderful colors involved. 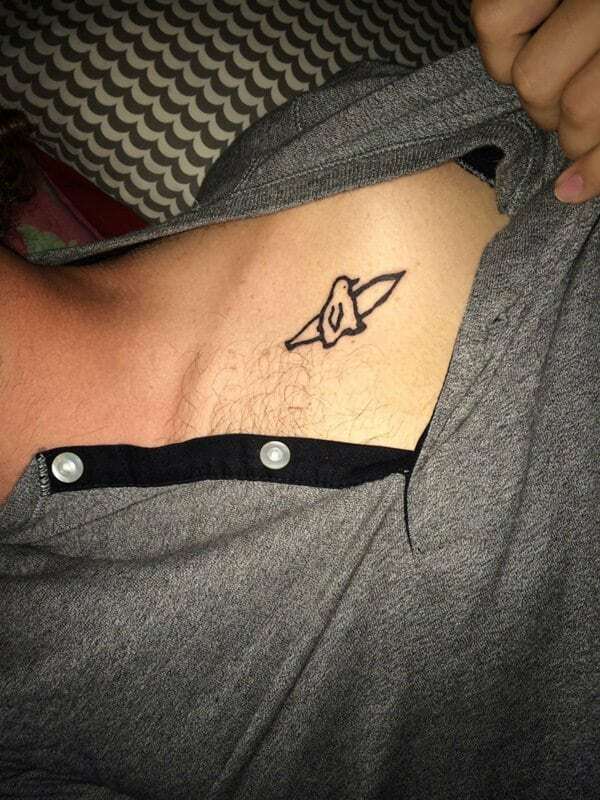 It’s a small tattoo that you can place anywhere. If you are looking for a small and simple design then this one is perfect. This badass penguin is all about the vacation life. The colors here are great and so is the vacation gear that this penguin is wearing. 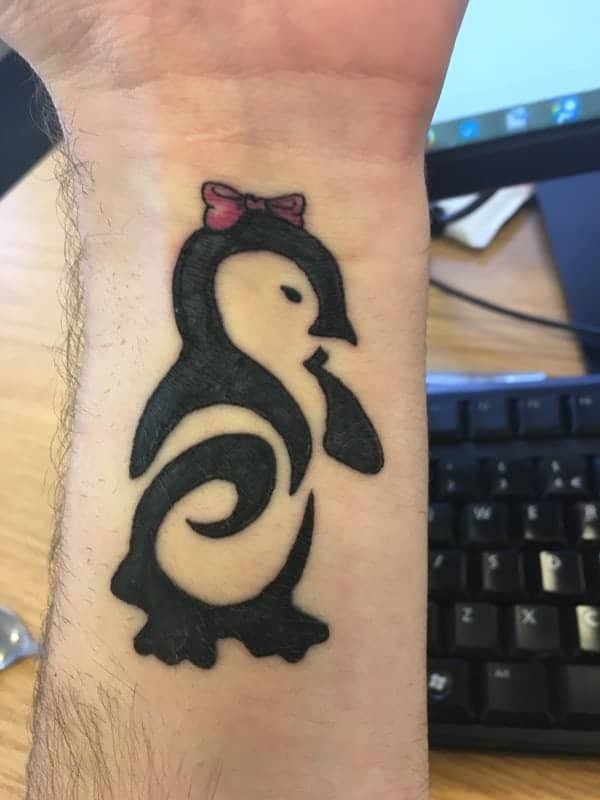 If you want a great tattoo design for a penguin then this is it. 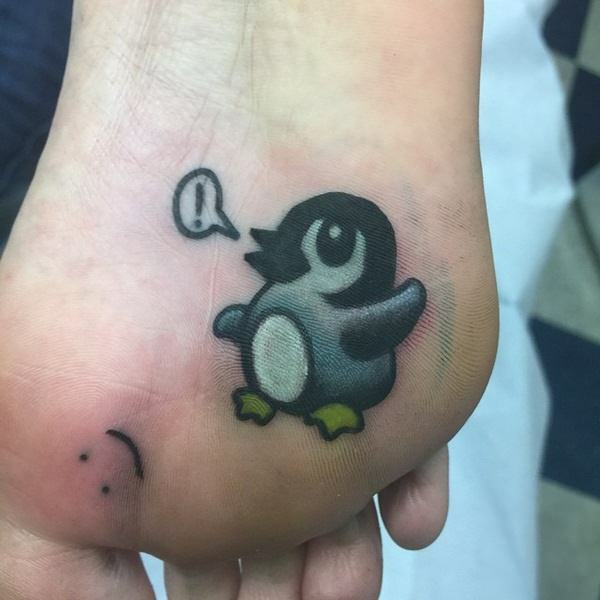 If you can relate to this vacationing penguin then you will love this tattoo. 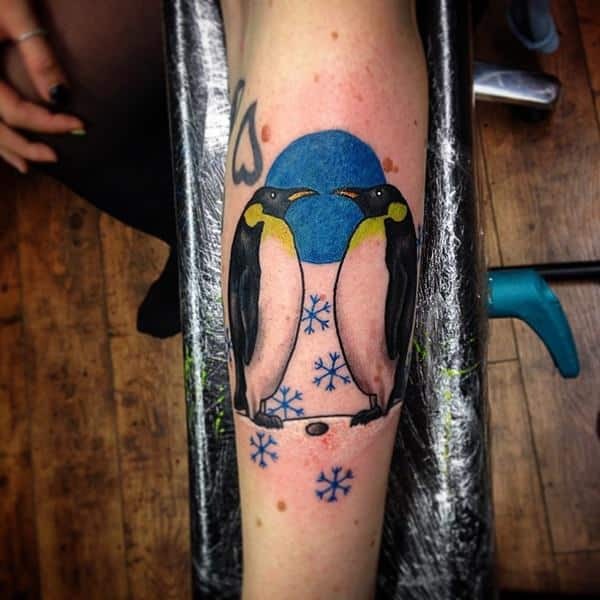 A simple design of a couple of penguins with a bright blue moon in the back. There are some wonderful snowflakes happening here as well. We love an Artic scene with a couple of penguins. 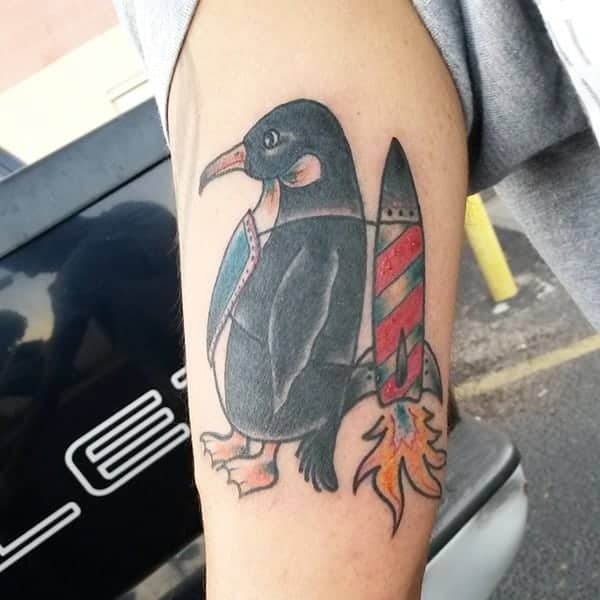 In this case, it’s a penguin but you have to love this fun design with a rocket strapped to a penguin. It looks like this guy is on a mission. We wonder where this fun little penguin is heading with the rocket strapped to his back. He doesn’t seem one bit concerned about it. A great penguin design that you are sure to love because of your love for The Nightmare on Elm Street. 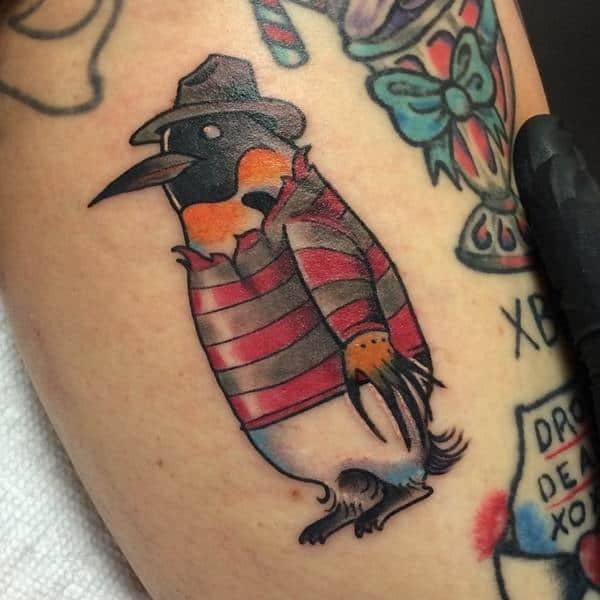 We’re not sure what the connection is to penguins but it’s a pretty fun design.We love this creative tattoo that is all about Freddy Kreuger in a whole new form. 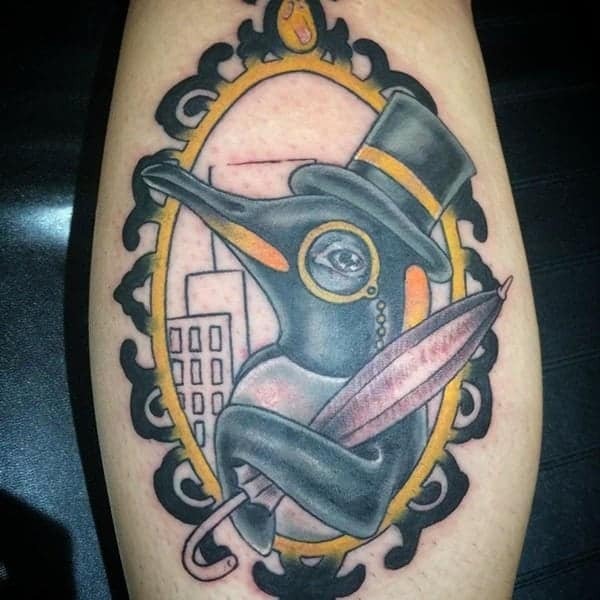 These dark designs make up a penguin with a pretty fancy suit on. The dark colors and the bright orange make for a great contrast. A great image that makes you pop. If you are looking for a tattoo that is truly classy then you will love an image like this one. This Kingpin looks like he has some pretty serious business to attend to. 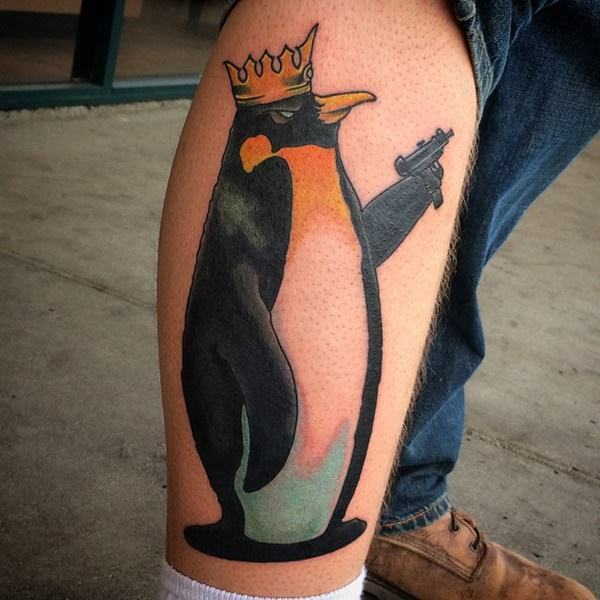 This penguin has a gun in its hand and he seems intent on using it. This little penguin is quite the badass and he doesn’t care about holding justice in his own way. A great penguin design that has some amazing sketch lines to it. The whale on the inside makes for a very creative tattoo idea. These tattoos are all about the wild animals in the North and we love that they are combined in this image. A terrific image of a little penguin listening to music. There are so many beautiful colors floating up to help you to feel the music too. We love those splotched colors because they are so bright. The colors are incredible and look like paint swatches. 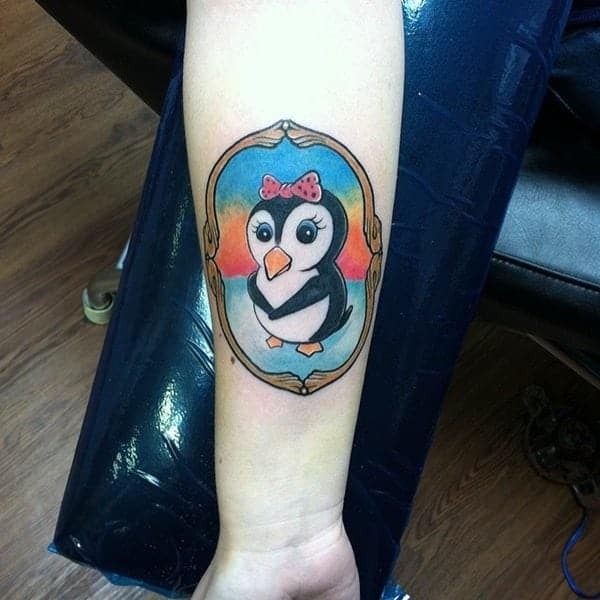 This type of tattoo is very popular now and it’s because of the bright colors. 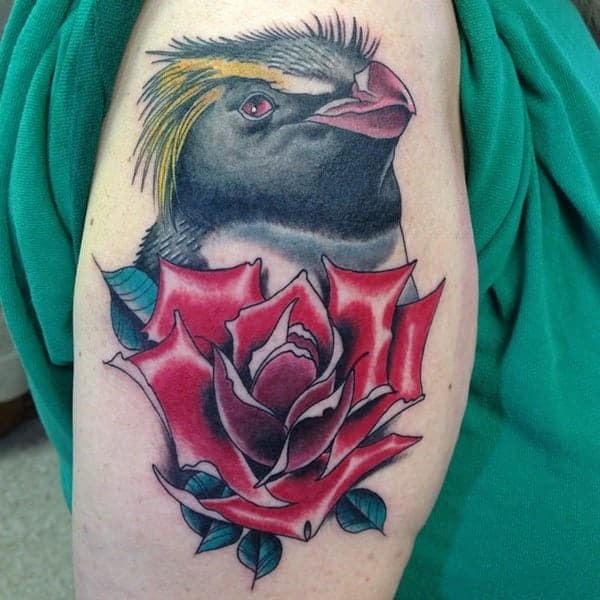 A gorgeous penguin design with a bright red rose. If you are looking for a simple but cool design then this is the one for you. There is a lot of detail to this image and it’s truly wonderful. An old school image of a wonderful penguin. This is a very creative and fun penguin design. The origami look is truly wonderful. 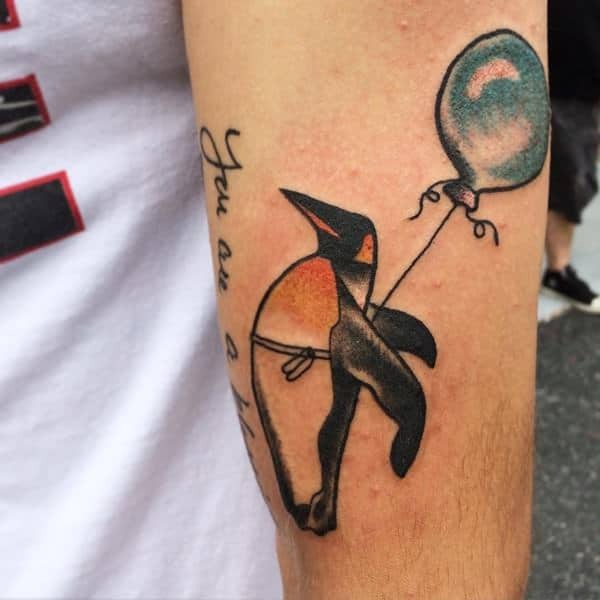 The color and design are unique and we love that the penguin is just floating away. 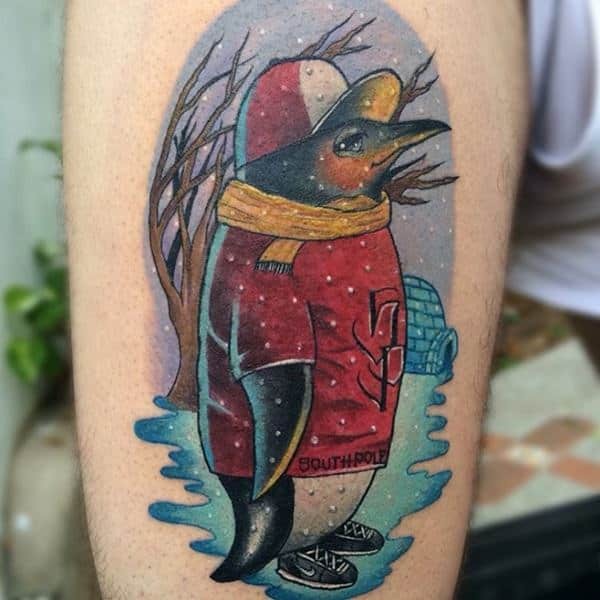 You won’t find a more unique tattoo than this one and it makes having a penguin tattoo so much fun. A great penguin design that has some bold colors. If you want a simple design then you are sure to love it. The purple flower really makes the whole image pop off the skin. If you are looking for a simple penguin design then this would be a perfect one. A great design that is more than just a little cute. This penguin is posing in a cute picture that was framed for show. It’s a sweet idea that is unique as well as it is wonderful. It’s a classic looking penguin that is wonderful and it’s small enough that it can be placed anywhere. This fancy penguin is looking for a night out on the town. With a top hat and a monocle, this is one smart looking penguin. We love the ornate frame that surrounds the Penguin. He is truly a class act because this tattoo is one of a kind. 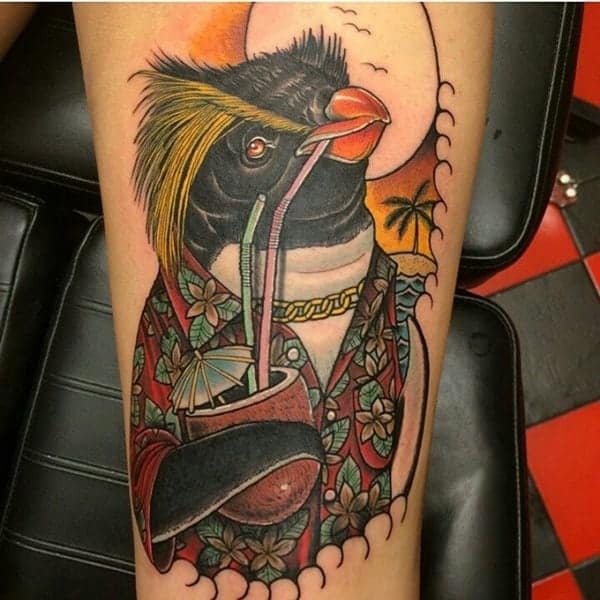 How could you not want a fancy penguin like this one? Inside the penguin is a staircase to paradise. This is a sweet little penguin that appears to have a whole icy world inside of him. 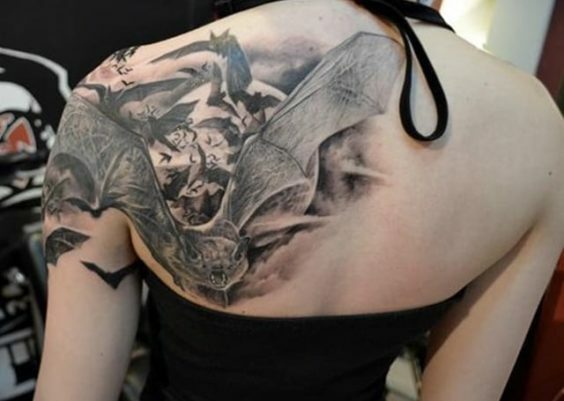 This is an unusual tattoo because it’s very muysterious, one that will take your breath away. 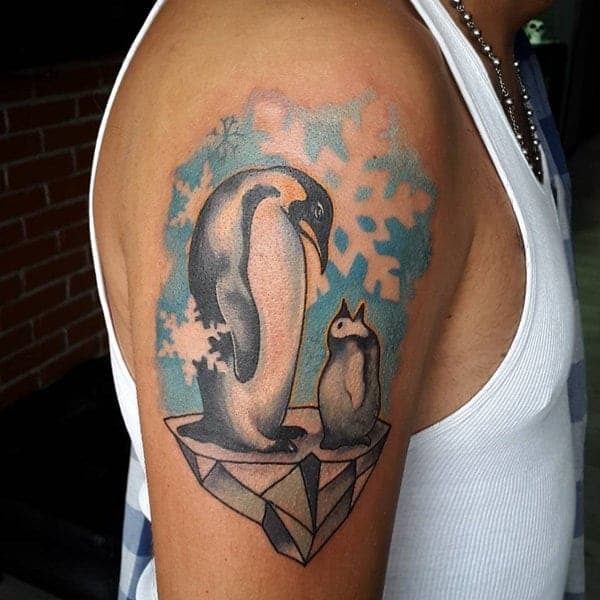 A gorgeous penguin design that you are sure to love. 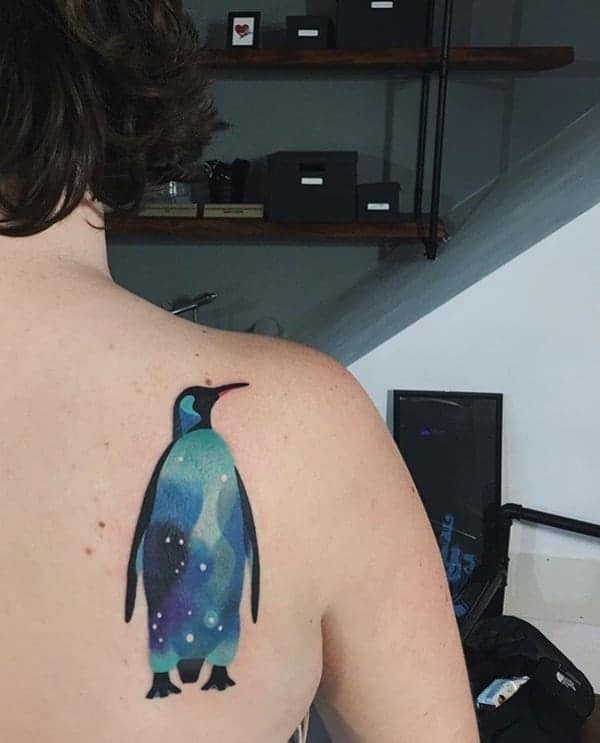 A great tattoo that has constellations all over the penguin body. 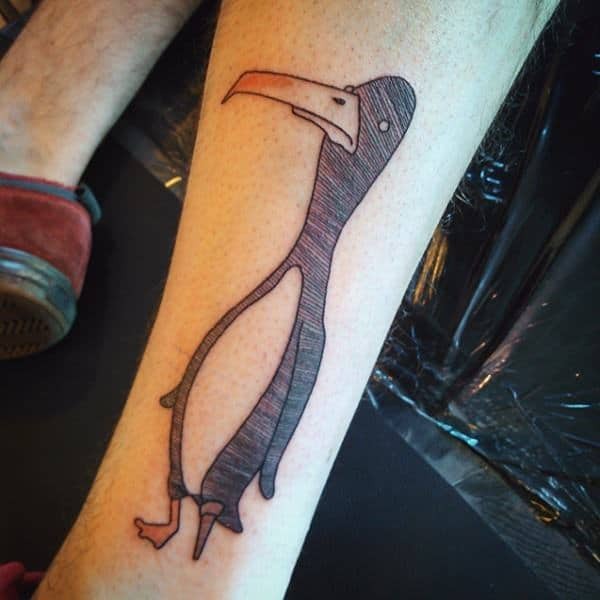 It’s a unique tattoo that you are sure to love. 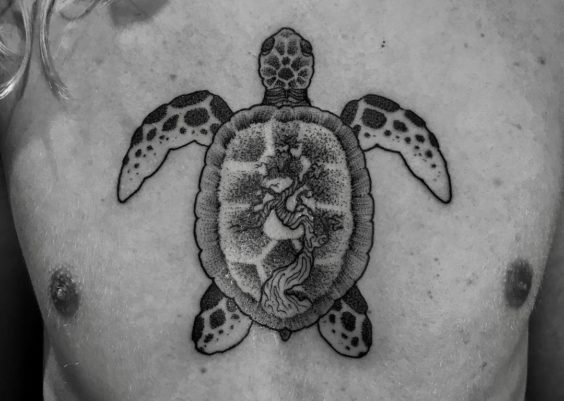 If you want a tattoo that is truly unique then you are sure to love a design like this one. 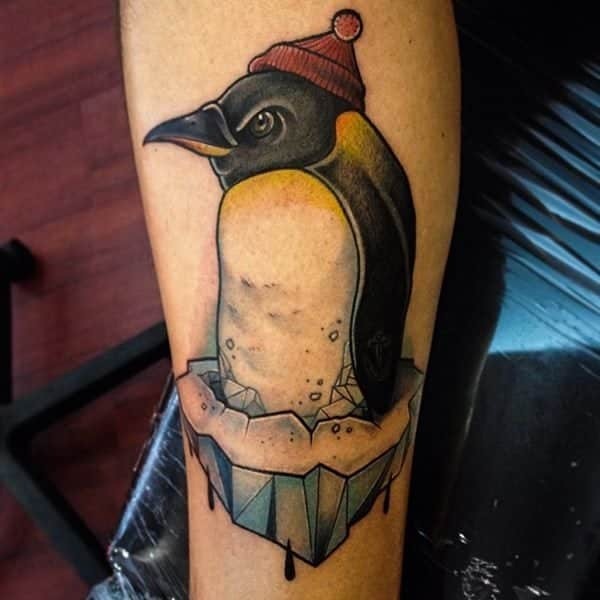 A great tattoo that you are sure to love if you are a fan of those winter months. These penguins are enjoying life as the snow falls. The colors are very cool here, there are blues and greys in here that really pop off the skin. You will love this tattoo. 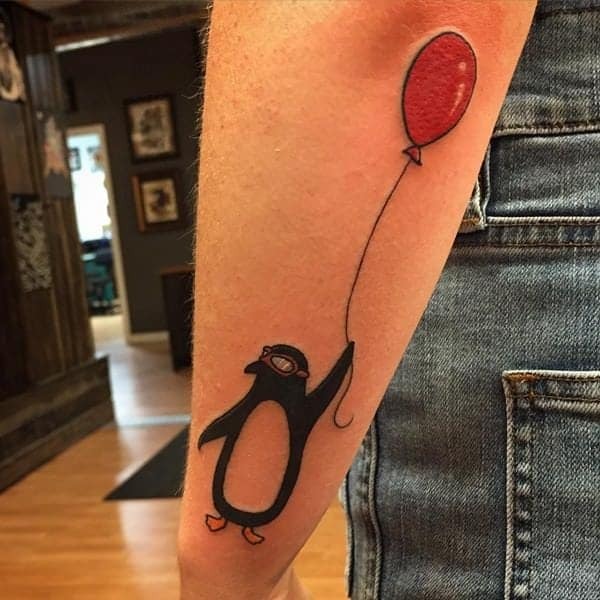 This penguin has some serious plans as he is lifted off by a red balloon. We love the cool shades that the penguin is wearing as he is whisked off on an adventure. 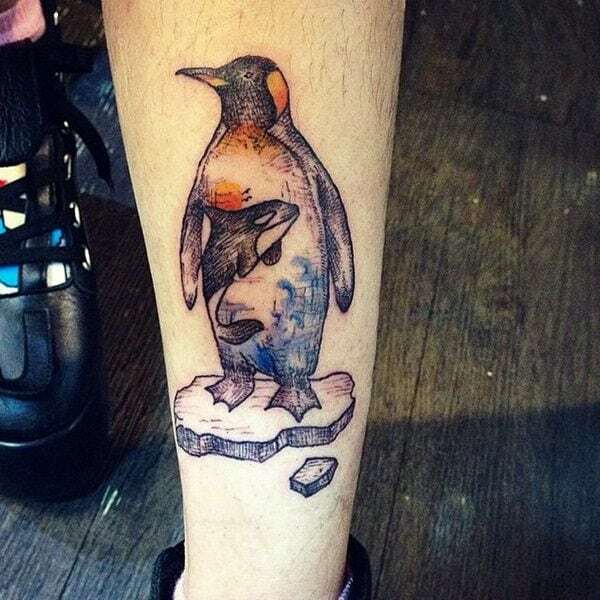 If you are looking for a crazy cool tattoo involving a penguin then you are sure to enjoy this tattoo. 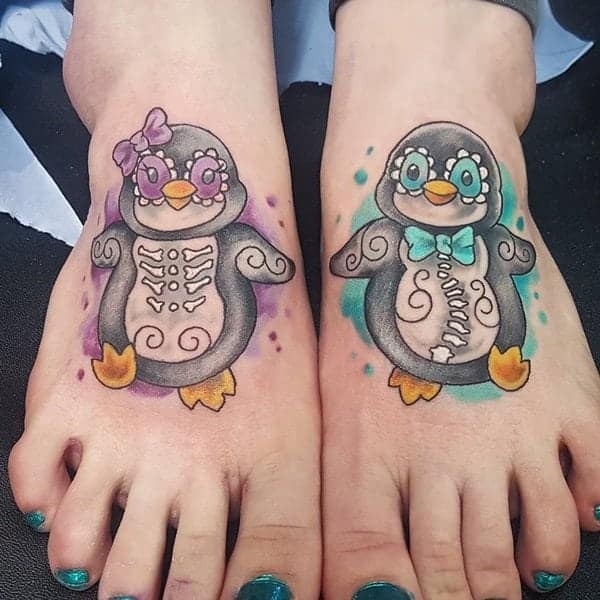 This is what you get when you mix sugar skulls with penguins. We love this whole new take on the sugar skull craze. The lovely green and purple is truly eye-catching. The colors are bright and beautiful. it looks like this penguin is dreaming about warmer climates. Off he goes with a backpack as he heads towards a warmer place to live. We can’t blame him, we would all love to go to a warmer destination! We hope he gets there. You are sure to love this penguin design because of its simplicity. We love the small image because it can fit anywhere on the body. 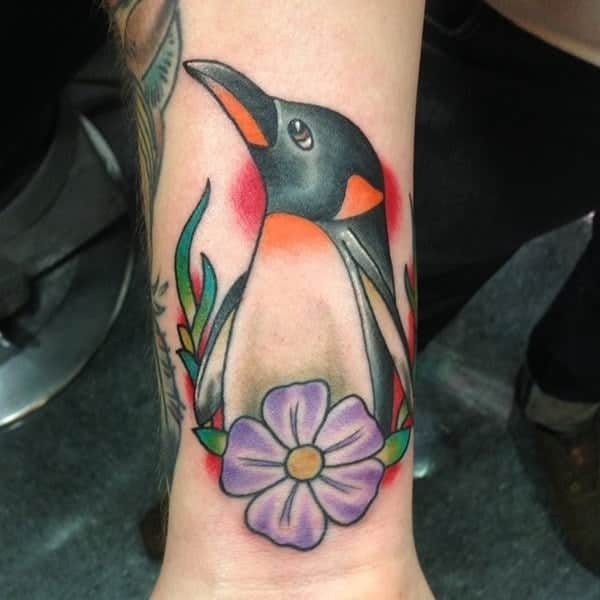 They add a burst of color to the design by adding in the little yellow flower that sits at the penguin’s feet. This penguin seems to have a lot to say and in a dramatic fashion as well. It’s a cute little penguin who seems to be pretty excitable. if you are looking for a fun design then you have certainly found it. This one is a cutie! Look at those little yellow feet. 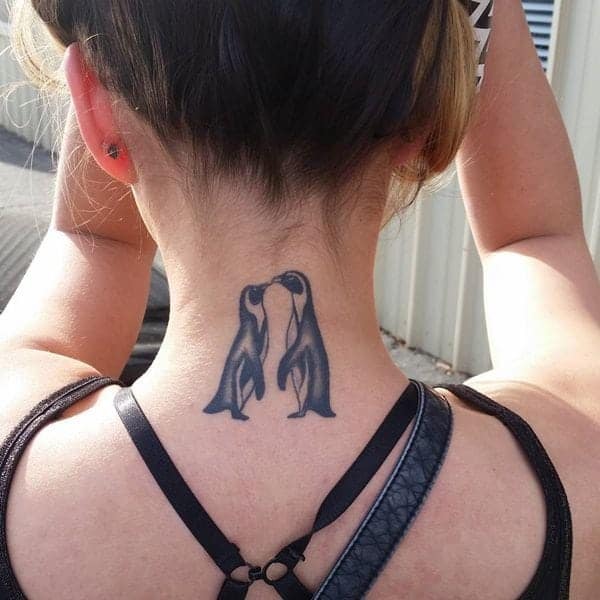 A great tattoo that fits nicely behind the neck. It’s a great design that you can choose to hide or show off, the choice is yours. 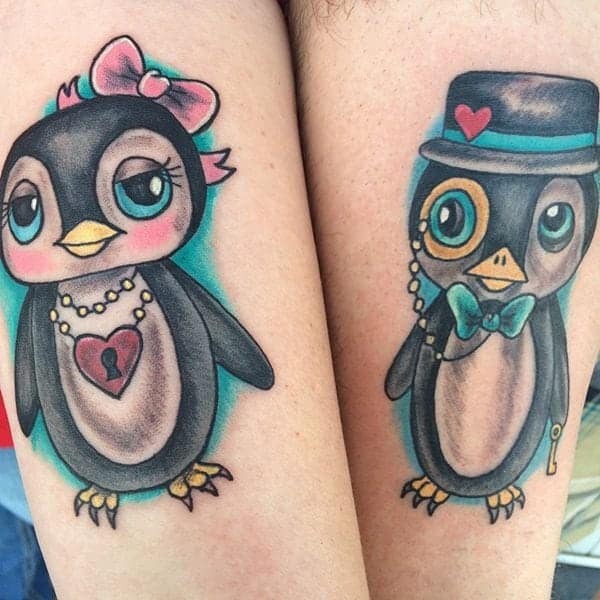 We love these penguins because they are truly in love. Penguins are animals that mate for life, so it’s a true romance story indeed. 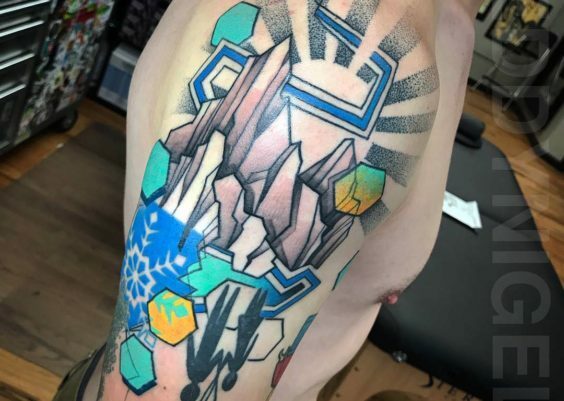 This tattoo covers the shoulder and part of the chest. 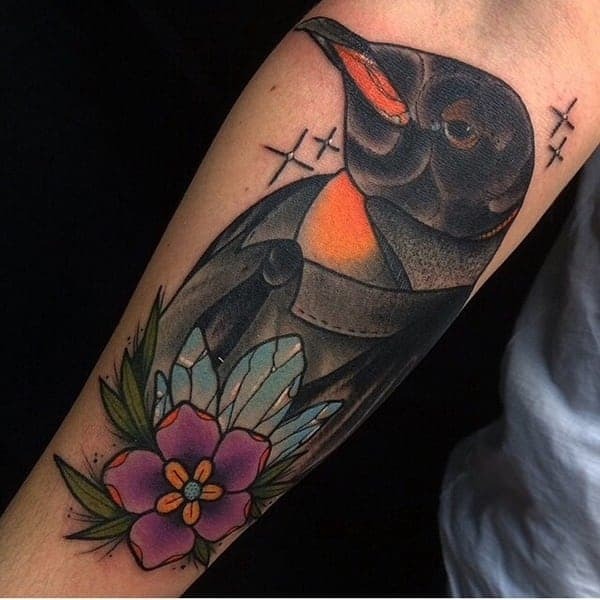 It’s a stunning tattoo that is full of gorgeous color. We love all the blue because it really pops off the skin. 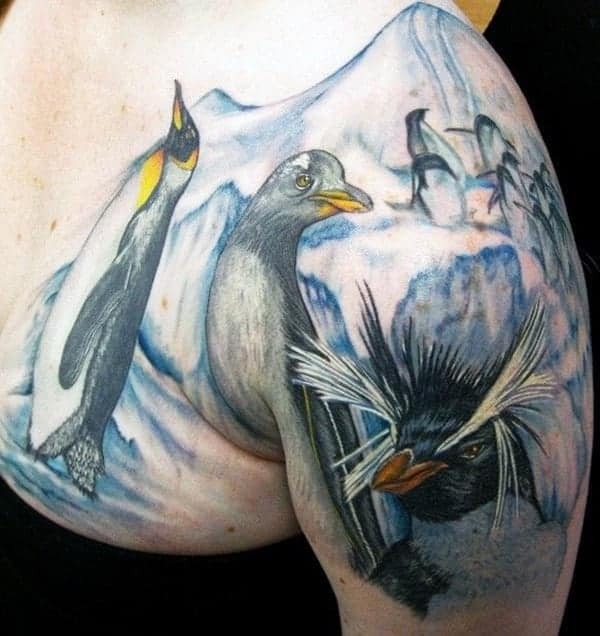 If you love penguins then you will love a tattoo that has plenty of penguins to love. 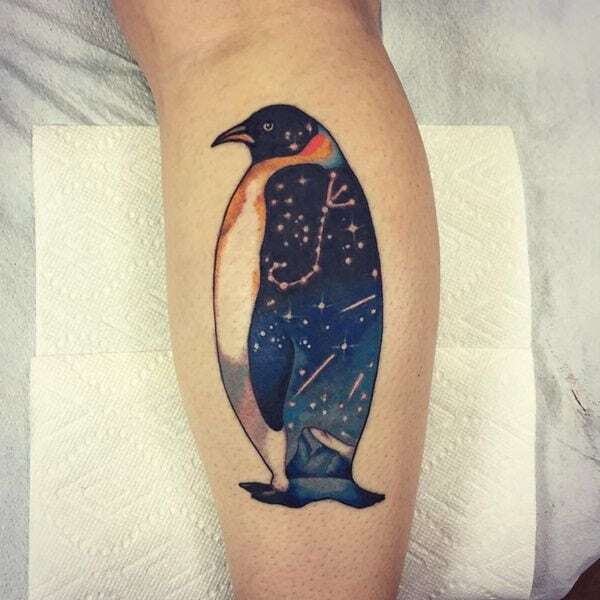 A great design of a penguin with some beautiful blue coloring. We love this design because it’s truly unique. The inside is like the night sky. A wonderful image that anyone is sure to love.